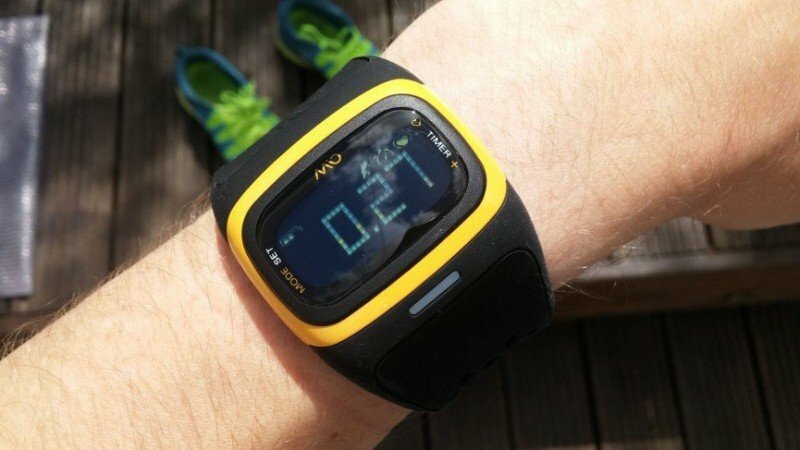 Mio Global, the company who pioneered the strapless heart rate monitor have announced a partnership with Amazon, to bring their wearable tech to the Indian market. Mio where the first company to bring the strapless technology which opened up the realistic chance for su to measure our heart rate around the clock, as opposed to the traditional heart rate monitor seen in gyms, which requires the user to strap themselves up. Frequent readers may recall that we covered the Mio Alpha here, originally in late 2013 and then updated last month. In our opinion, the Alpha remains one of the best strapless heart rate monitors on the market and its therefore little surprise that Amazon have chosen them to help launch their Indian offering. In a space where the optical wrist-based readers are often less accurate then the medical-grade strap based solution, the Alpha has performed well. We looked into the full science of heart rate monitoring, how they work and how you can make them more accurate in this in-depth piece here on the science of HRM, for those interested. Following this deal, Amazon India will be retailing the full range of Mio gear, including their Link and Fuse, alongside the recently released second generation Alpha. The Indian market, long keen on smaller personal devices allied with the markets fondness for training (Bodybuilding is considered a spot of some substance in that market), it is little surprise that Mio have identified it as a great opportunity. We’ll keep you posted about how the indian market adopts this technology, and whether the wearable tech explosion is ready to expand east.